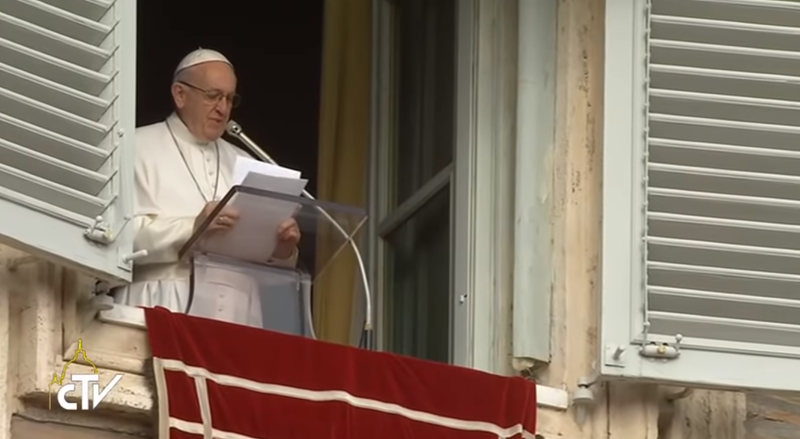 VATICAN CITY, DECEMBER 10, 2017 (Zenit.org).- Here is a ZENIT translation of the address Pope Francis gave today before and after praying the midday Angelus with those gathered in St. Peter’s Square. Last Sunday we began Advent with the invitation to watch. Today, the second Sunday of this time of preparation for Christmas, the Liturgy points out the proper contents: it’s the time to recognize the voids to fill in our life, to smooth the asperities of pride and make room for Jesus who is coming. The prophet Isaiah addresses the people announcing the end of the exile in Babylon and the return to Jerusalem. He prophesizes: “A voice cries: ‘In the wilderness prepare the way of the Lord [. . .] Every valley shall be lifted up’” (40:3). The valleys to be lifted up represent all the voids of our behavior before God, all our sins of omission. A void in our life can be the fact that we don’t pray or pray little. Hence, Advent is the favorable moment to pray with more intensity, to give to the spiritual life the important place it deserves. Another void might be our lack of charity towards our neighbor, especially towards those most in need of help, not only material but also spiritual. We are called to be more conscious of the needs of others, closer to them. Thus, like John the Baptist, we can open paths of hope in the desert of the arid hearts of so many people. “Every mountain and hill be made low” (v. 4), exhorts again Isaiah. The mountains and hills that must be made low are pride, haughtiness <and> arrogance. Where there is pride, where there is arrogance, where there is haughtiness the Lord can’t enter because that heart is full of pride, of haughtiness, of arrogance. Therefore, we must lower this pride. We must assume meek and humble attitudes, without rebuking, listening, talking meekly and thus preparing the coming of our Saviour, He who is meek and humble of heart (Cf. Matthew 11:29). Then we are asked to eliminate all the obstacles we put to our union with the Lord: “The uneven ground shall become level, and the rough places a plain. Then the glory of the Lord shall be revealed – says Isaiah — and all flesh shall see it together” (Isaiah 40:4-5). However, these actions are to be done with joy, because they are geared to the preparation of Jesus’ arrival. When we expect at home the visit of a dear person, we prepare everything with care and happiness. We want to predispose ourselves in the same way for the coming of the Lord: to attend to Him every day with solicitude, to be filled with His grace when He comes. The Saviour we await is able to transform our life with the strength of the Holy Spirit, with the strength of love. 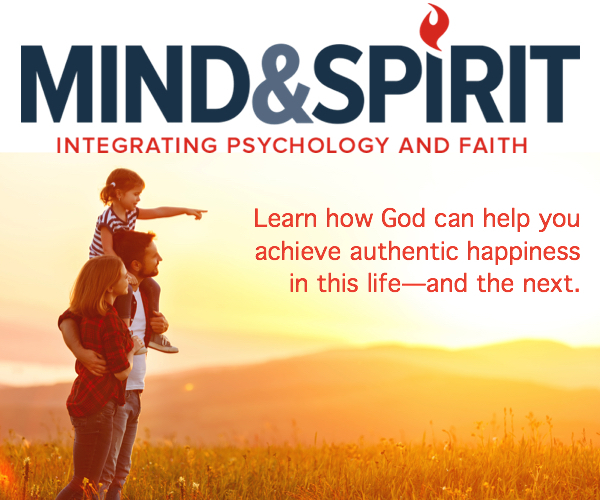 In fact, the Holy Spirit effuses in our hearts the love of God, inexhaustible source of purification, of new life and of freedom. The Virgin Mary lived this reality in fullness, allowing herself to be “baptized” by the Holy Spirit who inundated her with His power. May she, who prepared the coming of Christ with the totality of her existence, help us to follow her example and guide our steps to encounter the Lord who is coming. Today the Nobel Peace Prize will be awarded to the International Campaign to Abolish Nuclear Weapons. This recognition happens to coincide with the United Nations Day for Human Rights, and this stresses the strong link between human rights and nuclear disarmament. In fact, to be committed to the protection of the dignity of all people, in particular, the weakest and most disadvantaged means also to work with determination to build a world without nuclear weapons. God gives us the ability to collaborate to build our common home: we have the freedom, the intelligence and the capacity to guide technology, to limit our power to the service of peace and true progress (Cf. Encyclical Letter Laudato Si’, 78, 112, 202. “Our Planet Summit” will be held in Paris day after tomorrow. Two years after the adoption of the Paris Agreement on climate, its purpose is to renew the commitment for its implementation and to consolidate a shared strategy to counteract the worrying phenomenon of climate change. I earnestly hope that this Summit, as well as the other initiatives that are in this same direction, will foster a clear awareness of the need to adopt really effective decisions to counteract climate change and, at the same time, to combat poverty and promote integral human development. In this context, I would like to express my closeness to the Indian populations affected by cyclone Okhi, especially the families of the very many dispersed fishermen, and also to the population of Albania, harshly tried by grave floods. My greeting goes to all of you, Romans and pilgrims, in particular to the faithful from Valladolid and Huelva, in Spain. I greet the numerous groups of Italian young people and youngsters from Florence, Carugate, Brembate, Alme, Petosino and Pian Camuno: I encourage all to be joyful witnesses of the Gospel. I wish all a happy Sunday and a good Advent journey, preparing the way for the Lord who is coming. Please, don’t forget to pray for me. Have a good lunch and goodbye!